Harriet's expertise as a wedding and function harpist is in high demand. With over 15 years of experience in the industry, she combines her musical talent with absolute professionalism and a 'can do' attitude. Harriet's harp has taken her to diverse locations and star studded events including a performance in front of Her Majesty, Queen Elizabeth II as part of the celebrations for her Diamond Jubilee, an appearance at the BRIT Awards and a live duet on TV with Dermot O'Leary for Channel 4's Celebrity Big Brother. A versatile performer, not only has she has dressed up as an angel to appear at London's Fabric Night Club , but she has also performed for BBC 1's Songs of Praise and for Channel 5's The Hotel Inspector. For several years she performed regular recitals on cruise ships including Cunard's legendary QE2, and also Fred Olsen and P & O cruises. 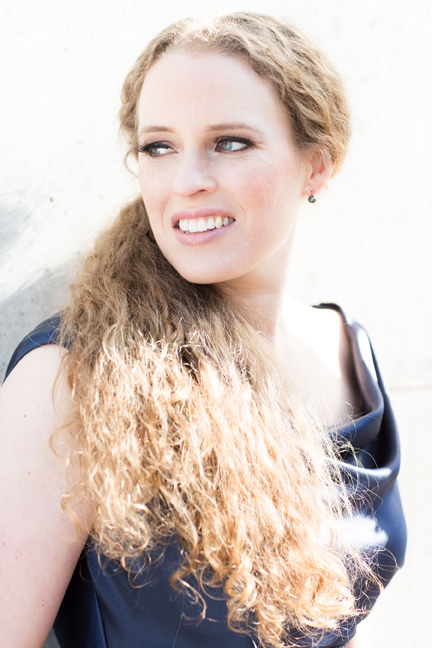 Harriet has played in all the major London Hotels including Claridges, The Ritz, the Savoy, and the Dorchester Hotel. Harriet will tailor her music to suit each individual event and client's tastes. Her repertoire is enormously varied and she is happy to take requests with advance warning, and where possible, on the day. She is as equally happy performing light Classical, folk or jazz tunes, as she is pop and Bollywood music. If you would like help choosing music, she is able to provide a comprehensive selection of pieces which work well for the different parts of the day. The right sounds can inspire and complement a magical event, and Harriet will ensure that the music for your day is unique and a lasting memory. Harriet performs mainly on her full-size concert grand harp but can also provide a smaller Clarsach (folk harp) harp (useful when space is at a premium), and for a more contemporary feel, even a pearlescent white electric harp! Harriet concentrates most of her bookings in London and the Home Counties area, but will also consider events further afield depending on the date and location.